CBD Oil is a natural product that has certain advantages and uses that traditional medications can't measure up to. CBD Oil has been instrumental to people dealing with chronic pain. The reason for this being the way CBD Oil interacts with the body's Endocannabinoid System, or ESC. Your body's ECS helps in the reduction and management of pain that is brought about by conditions such as fibromyalgia (a pain disorder that causes hotspots in the neck and on the back) and rheumatoid arthritis. Your Endocannabinoid System is made up cannabinoid receptors known as CB1 and CB2 that are responsible for regulating essential functions of the human body. These cannabinoid receptors are activated once CBD Oil, or other CBD products, are introduced into your system. CBD Oil, in return, helps regulate cramps and muscle pains associated with chronic pain. CBD Oil, in a sense, enlightens your body to assist areas of your body that need relief. CBD Oil benefits also include relieving anxiety and nervousness. CBD Oil provides assistance to people who are anxious about things such as an exam, a job interview or even a presentation. It helps combat certain life stresses by increasing the quantity of anandamide in the brain. Anandamide is a neurotransmitter that affects the mood and is sometimes called the ‘’bliss molecule." Other CBD Oil Benefits include acting as a relaxant for people who are having trouble with insomnia. CBD Oil is an ideal solution for people battling insomnia, inadequate sleep, restlessness and those who have difficulty falling asleep. CBD Oil helps promote your circadian rhythm when taken right before going to bed, giving you a satisfying rest. It also acts in liaison with the natural systems of your body to help in the regulation of stress levels and to manage pain. CBD Oil has the potential to help ease you into a peaceful and longer night's sleep. Relief from inflammation is also among CBD Oil benefits. Inflammation in your body is taken as a good sign of your immune system responsiveness to injury. Natural inflammation means that you are healthy and your body is functioning normally. However, sometimes inflammation becomes an issue when it starts to attack body cells. Swelling causes pain, fatigue and other disruptive symptoms. CBD contains natural anti-inflammatory properties that can help regulate high levels of inflammation. CBD Oil also has the potential to improve mood and helping in focus. When CBD Oil enters your body, it interacts with ECS cell receptors which have the potential for influencing mood, memory, appetite and so much more. Researchers have considered CBD a neuroprotective, meaning that it can help regulate signals sent to the limbic system of your brain. Your brain's limbic system is responsible for emotional and memory response. Taking CBD Oil sublingually may help improve your current mental state and long-term memory recognition. Hemp Bombs CBD products are referred to as 'isolate' since they have no traces of THC. 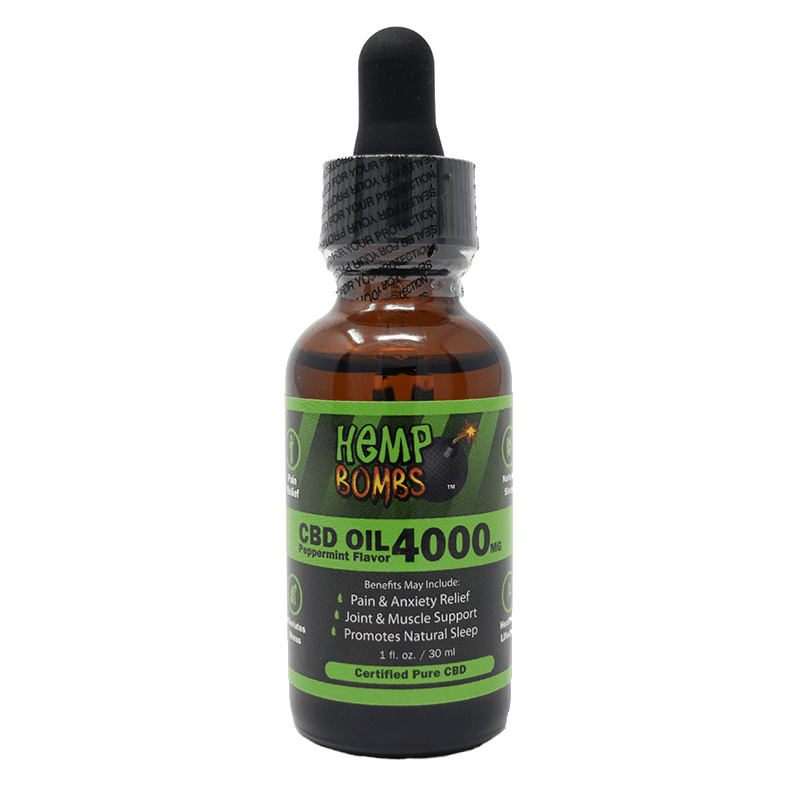 Since Hemp Bombs CBD products are isolated, they are federally legal to purchase and sell. We want to give you full confidence that our products won't cause any psychoactive effects or will cause you to fail a drug test. Be aware of companies who sell full-spectrum CBD products. Although these products have added benefits, they may also contain traces of THC. 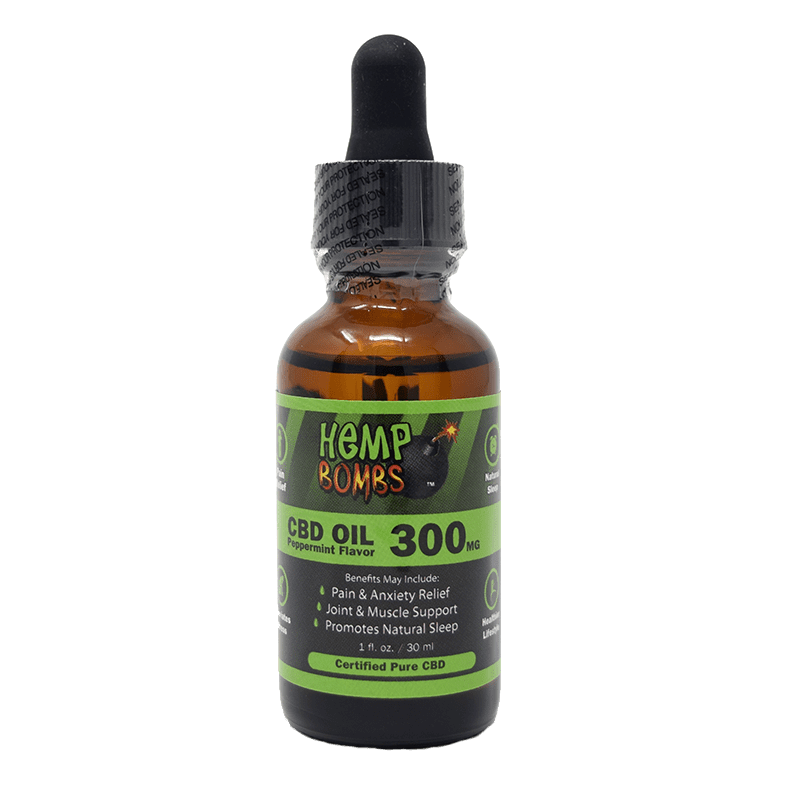 At Hemp Bombs, we also give the user a comprehensive breakdown of what is exactly in our CBD Oil before you even consider consumption. All of our products are labeled with the appropriate dosage of CBD and have pure; third-party lab tested Cannabidiol. Third-party lab tests provide you with unbiased, factual data regarding the purity and quality of our CBD. Stay away from companies who cannot provide you with the exact contents of their CBD products. 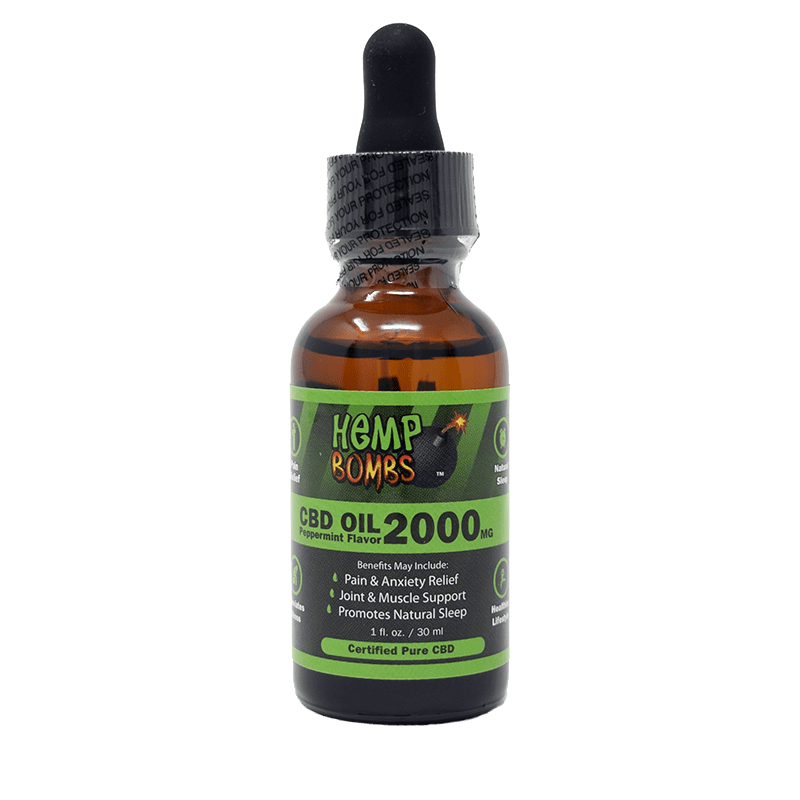 Hemp Bombs CBD products are manufactured in-house meaning that we maintain complete quality control of products in a single facility from manufacturing to packaging all the way to shipping. The in-house process allows us to make sure all products are top quality and of value to your health. Our production team that oversees in-house manufacturing is very experienced and ensures that all products meet the appropriate quality control standards. Hemp Bombs sources our CBD from organic and superior grade Industrial Hemp that has been grown through environmentally friendly methods. 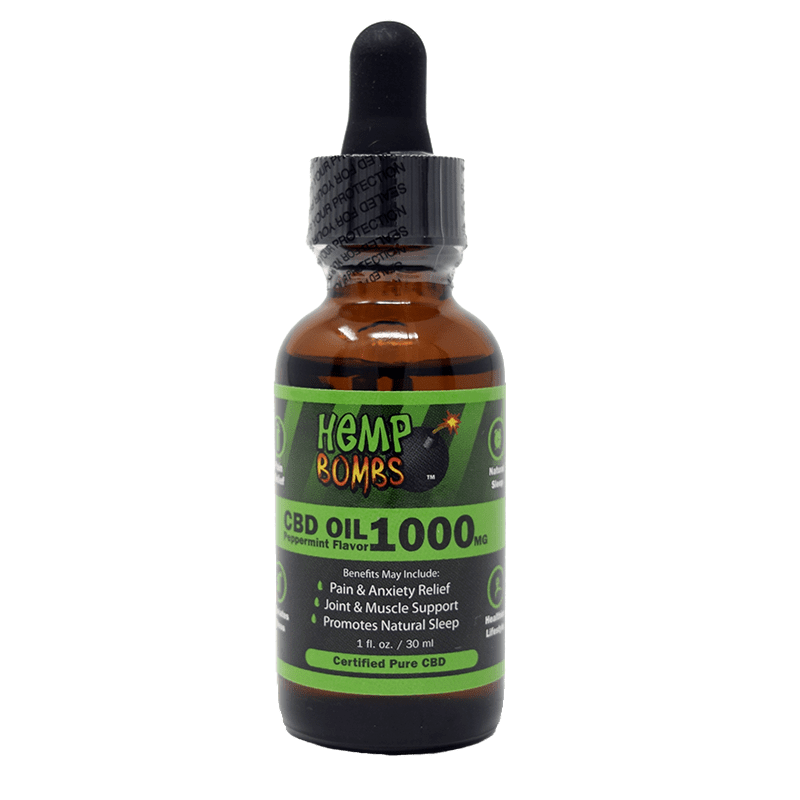 Hemp Bombs products have 99 percent pure CBD that has no adverse side effects, cases of overdose or addictions. CBD can be extracted from both Cannabis plants, Hemp and Marijuana. CBD is generally derived from Hemp over Marijuana due to the higher concentrations of CBD in the plant. At Hemp Bombs, we derive out CBD from Industrial Hemp and are thus not products of Marijuana. Contrary to Hemp, Marijuana contains high traces of THC, the psychoactive cannabinoid that causes a "high" or altered state of mind. Most Hemp plants comprise less than 0.3 percent of THC, which is not enough to induce psychoactive effects. CBD, in fact, has the opposite effect of its sister cannabinoid THC. CBD will provide a calming and relaxing state of mind. You will be able to complete your normal daily routine such as typing out an email, exercising, or talking to a coworker without any worries. Those who use CBD daily report that it clears their brain of any mental fog, creating a better and happier self. Being a natural product, CBD Oil benefits have all the potential to impact your health positively.